STREATOR, Ill. (WLS) -- Kayla Stratton, a woman who was reported missing from Streator on Sunday, has been found safe, the LaSalle County Sheriff's Office said. The Sheriff's Office said that at about 6:30 p.m. Friday, the FBI's Violent Crimes Task Force arrested he ex-boyfriend, Clarence Merritte of Chicago, in Calumet City, and Stratton was recovered safely. Merritte was arrested on warrants for unlawful restraint, aggravated assault, driving while license revoked and domestic battery. He is being held without bond. The LaSalle County Sheriff's Office said witnesses saw a man force a woman into his car after ramming the woman's car from behind and running her off the road at the end of East 1st Street. The male driver of the suspect vehicle then took a woman and child from the crashed vehicle and forced her into his car. The suspect's car was found a few blocks away, the sheriff's office said. 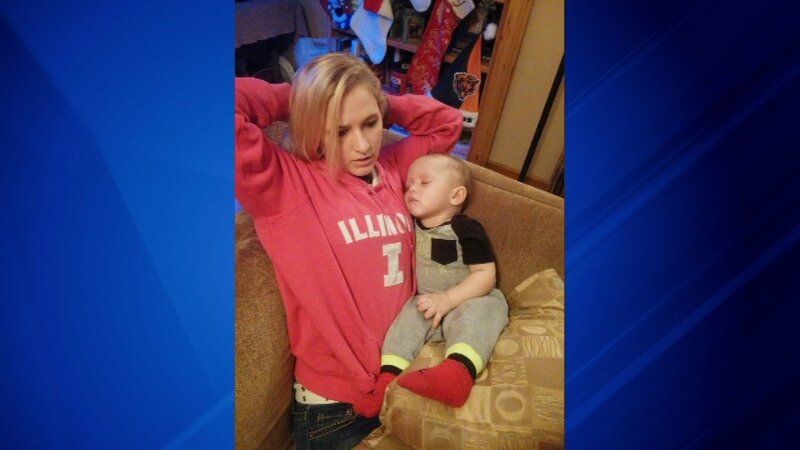 Family believed her ex-boyfriend kidnapped her and her 11-month old son in Streator on Friday. The boy was found safe on Sunday. A family member said Stratton had dyed her hair black the day she went missing. Police say about 10 p.m. Sunday, Streator police received a phone call from the baby's grandmother, who told them a friend of Stratton's had found the baby outside her home. The friend then called the grandmother. The Department of Children and Family Services was called to assist in the legal transfer of custody of the child to his grandparents. The child was taken to St. Mary's Hospital for a health evaluation. Streator is located about 100 miles southwest of Chicago.